"My artwork is an expression of color and pattern created through the process of weaving. I studied weaving in Sweden and often draw on this influence when designing but look to interject my own twist of color and pattern. 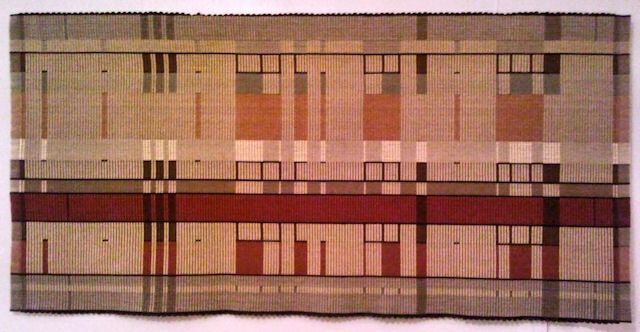 The Scandinavian Rep weave technique is used to produce these functional art pieces including: rugs, wall pieces, fabrics, throws, pillows and tote bags. Each textile is custom designed for a specific interior setting and then hand-woven in limited editions. My designs also reflect other influences such as the Prairie Style, American Southwest, and contemporary designs to coordinate with any interior style. " The textiles are woven of lustrous all natural, color-fast cotton, and linen yarns. They are reversible, washable and durable for functional use as floor coverings as well as fabrics and art pieces. To see the complete collection of textiles visit the web site at www.kellymarshall.com or stop by the studio. Kelly Marshall has a BS degree in Applied Design-Textiles from the University of Minnesota and studied design and weaving structure for 1 year in Forsa, Sweden. 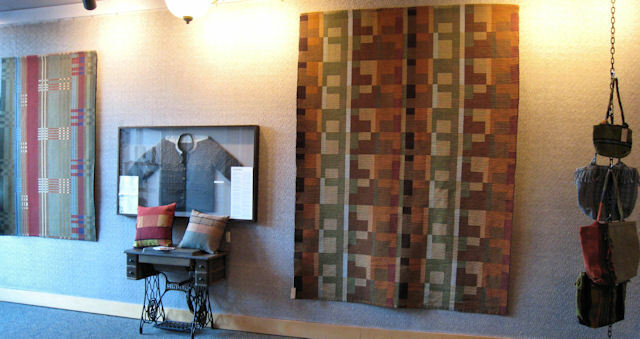 She founded the Minneapolis based company Custom Woven Interiors Ltd in 1992 and her textile are exhibited and marketed nationally through galleries and fine art craft shows. Kelly Marshall at Custom Woven Interiors Ltd.